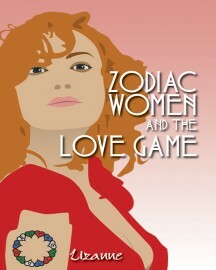 All 12 Zodiac women have their sun signs as Pandora’s Box. At the moment of birth, the astrological blueprint of each psyche is shaken and stirred. Add a touch of free will, a sprinkle of luck, a twist of fate, and then destiny, kismet, serendipity — call it what you will — the die is cast. There should be no prisoners, slaves, or victims of the love game. Play by the rules and everyone can be a winner. As you read these 12 stories, consider how each woman wins or loses in the love game, and let them be your guide.